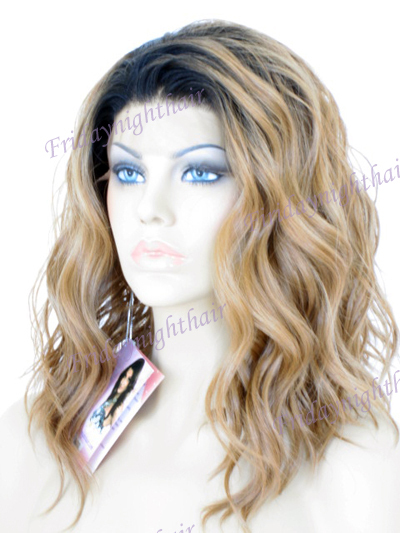 This is a very beautiful synthetic handsewn lace front wig, it has amazing relax curly hair texture,very beautiful looking. 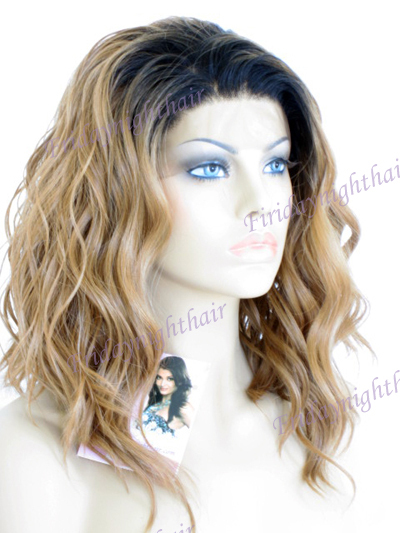 Hair Material: Made from the finest Kanekalon fiber, best simulates human hair,withstands washing and wearing durability. 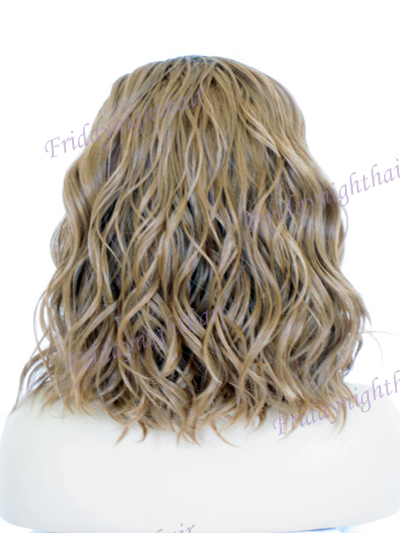 Hair Color: TT27, as pictures shown. 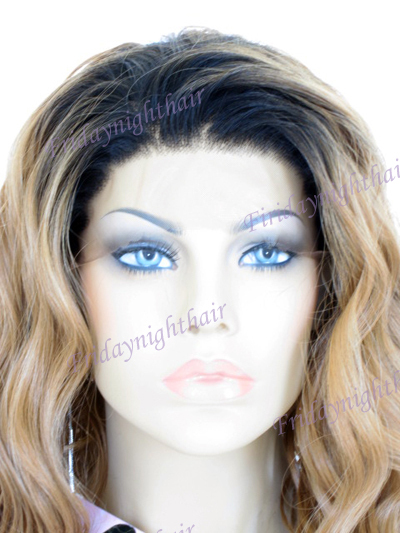 Cap Construction: Lace front (from ear to ear) full wig cap, the front part hair of the wig (from ear to ear) are hand-sewn on the lace, our lace front wig has more than 2" lace from front hairline toward backside, it is wider than other brands. 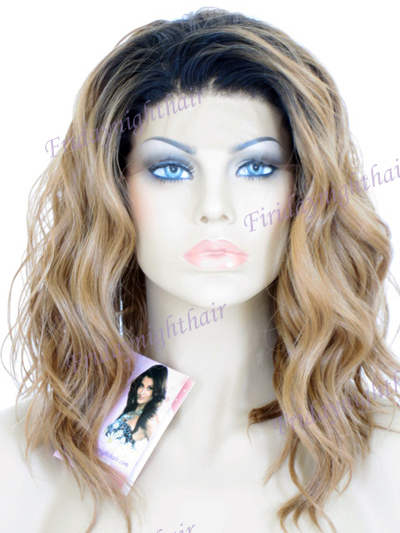 The wig cap is air refreshable, comfortable full wig cap which has adjustable straps at the backside.There is one comb on the left front side and one comb on the right front side and one comb at the back side. Care Tips: Shake the wig before wearing, since the hair texture has been well permed and styled, it is unnecessary to brush it because heavy brush will destroy the pretty hair style, gentle finger styling is commended for the daily styling; chemicals are not recommended on the hair; also it will keep the hair in good shape if you can take off the wig when you go to bed.